Love it or hate it, Minecraft is part of most of our lives these days. I bought a Minecraft account for my elder son when he was just 7 and he’s been hooked ever since, my younger son followed at 6. At times I’ve regretted it, sure , I’ve ranted about the amount of time they want to spend in the game rather than in some activity perceived as more worthy. Minecraft Homeschooling is taking off in a big way, the game that gripped a generation has no end of educational value for kids just through normal use. Today I want to talk about Minecraft Homeschool, an online learning programme we often subscribe to. In our first 6 week session my son got to grips with the 7 Wonders of the World. Further down the page you’ll find more Minecraft Homeschooling resources. What I’ve seen over the years is that they seem to get more and more out of Minecraft the older they get, the buildings they produce are incredible and you’d be amazed how often something they’ve seen in life ends up on the Minecraft screen. D, now 10 , has made Egyptian figures, a canal lock, temples, pyramids, ships, farms and restaurants, it’s creative, artistic and challenging. Much has been written about the educational benefits of Minecraft and schools are now buying into it too, so despite it’s highly addictive nature, my boys use it freely. The Great pyramid at Giza, interpreted by the children on the programme. My son took this screen shot, I didn’t know how. Another homeschooling mum here in London mentioned Minecraft Homeschool (click through to the site) to me and I’m very glad she did. I am not an affiliate, nor am I being paid to post this review. The programme runs in terms, we were just in time to sign up for the next session and selected Seven Wonders of The World as our subject to study. I only signed up one child, my 10 year old, to see what this thing was all about. Subject matter for the units includes Viking Victories, Caesar’s Maths, The Mysterious Maya, The Race To Space and Creature Planet, plus lots more. Students can be enrolled in upper or lower core classes, depending on age and classes can be graded or ungraded by Miss Judy, the virtual teacher. There is no scheduled lesson time, children can come and go as they please and complete their tasks any time before the end of the week. We think the questions, essay, building and reading would take most children 2, maybe 3 hours. What does it cost? Under $20 per unit. It’s not a bad deal. What Does Mr 10 Think of Minecraft Homeschool So Far? We have just completed week one, Mr 10 built the required Great Pyramid and then built the Masoleum at Halicarnassus for fun. He submitted 10 multiple choice questions based on the reading material and videos supplied in the course and wrote a 2 paragraph essay about his chosen wonder. Does that sound too much like school? Don’t be fooled! I never knew school work could be this much fun. I’m doing history at 6am! 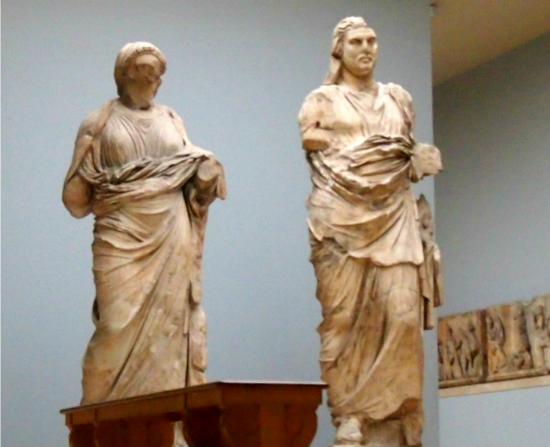 Can we go to the British Museum to see the bits of the Mausoleum? He finds the subject matter really interesting and is forever telling me random new facts he’s learnt. The questions were relatively simple so it was easy to pull the answers from the text and because he was so caught up in the fun of learning, he even did the essay without complaint. This is a child who normally does not write and is only ever forced ( not my choice) to produce written work for Australia homeschool reports. Regulations require 6 pieces of written work per year in my state. These are , quite literally, all he has ever done. But the kid nailed it! The course not only inspired a hugely enjoyable museum visit, it also brought about a fair bit of Googling and You Tube video watching too. Redstone Lab helps the students with their use of redstone, it’s claimed to be similar to electrical engineering, I can certainly see some aspects of circuits in there. We didn’t try that last week, so I can’t comment for now. (Update: he just made an automated lighting system for his Temple of Artemis. Photo sensors and redstone make the lights come on at night. It’s genius, he’s done this in real life with his electronics set, I had no idea they could do this in Minecraft). I love to see him happy and engaged in something. I love that he’s picking up new skills other than the obvious historical content. He’s been communicating and co-operating with other kids on the servers, helping where appropriate and not helping where he thought he shouldn’t. He’s getting a lot of practice in conflict resolution, a fair bit of griefing has been going on despite this being a highly regulated site. He’s had to switch off and walk away and tell himself “it’s only a game” a few times. His little brother has been getting in on the game too, happily typing and chatting with new friends online, quite a step up for a new reader. Both of them will see improvements in spelling through this. “Mum, how do you spell…?” has been a common cry for the last week or so. I also love that someone else is doing the “schooling” for me at the moment and I can get on with my projects without guilt. It’s the first time we’ve ever tried anything like this and I’m very keen to try similar online courses, nothing too heavy, there has to be a good mix of fun. This week he scored 20/20 on his assessed work. We could see immediately that he’d answered all the questions correctly, the written work was marked over the weekend. He got full marks, so maybe there wasn’t any feedback to give, but it would be great if we had a few pointers on improving his writing, I’m not sure if that can happen on not. His results were a lovely reassurance to me, he’s doing just fine despite, or maybe because of, my unorthodox approach to education. So early days, but we’re impressed. If the interest is maintained for the duration of the course I’ll certainly be signing him up for another one, I think it’s too advanced for my younger son yet, the reading would be hard and the writing is too involved, but he’s getting a lot out of what his brother is doing. I’ll update this post as we learn more. If you’d like to learn more about Minecraft before committing to buying an account, Minecraft For Dummies is a good place to start. 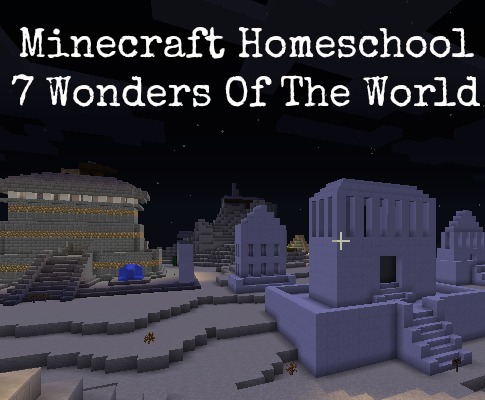 Interested in Using Minecraft in Your Homeschooling? I’m really keen to try this for my eldest also, how long would you say you need to spend on this on a weekly/daily basis? Just a couple of hours Carly, at the lower level D is doing, but this week we may try some of the optional and higher features too, like the redstone workshop. But they need plenty of extra time to play and enjoy the servers fully. Hi! I’m planning to take my two boys (8 and 10) travelling for a year. I’ve been reading your excellent blog and I’m going to sign them up for Minecraft Homeschool. I have a few quick question that you might be able to help me with though. Have your boys used it while you were actually travelling? And do your boys use it on laptops or tablets? We are only taking one laptop but they are both taking a tablet. Is it easy to use on tablets? Do they have to type much? Sorry for all the questions! No, not yet Floss, that would be hard. When we’re actually on the road we can’t be tied to weekly deadlines, but we’ll be giving it a go soon on a cruise ship. This is only for laptops ( I think) we don’t own tablets. We carry 3 laptops now, we can’t work on tablets we need real computers. They type a 2 paragraph essay type answer every week. Just 6 sentences would do, more would be better. I’d just give it a go now with one of your kids ( the 10 yr old probably) and see if they like it. My 10 YO loves ancient history so this course really grabbed him, pick something they’ll love. Hi Rebecca, sorry, they’ve changed the site name, it’s now called Game Ed Academy. I’ll put the new link in now.